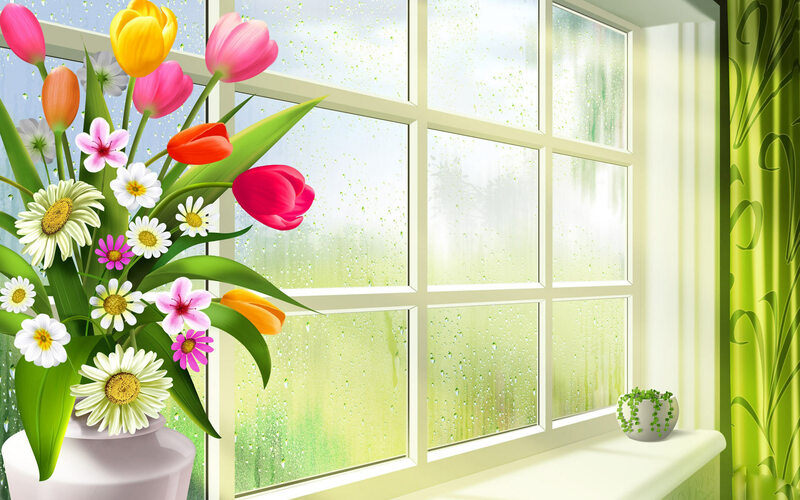 This is the time of year that we all know and love as “Spring Cleaning.” Really, it can be done any time of year, or spread out through the months, but there’s just something so refreshing about starting spring out with a fresh, clean home. There’s more to it than just cleaning the usual, though, it’s meant to be a restart button, shaking away the cold weather and making your home better than it’s ever been. To enjoy the full effect of spring cleaning, here are 8 things to keep in mind. Sure, they still look nice, but are they very clean? It’s a good idea to give your window treatments the “full treatment” at least once a year, more if your home collects dust easily. If you pat your hand along them and see a cloud of dust and other icky particles I will politely not mention, I recommend sending them to the dry cleaners. You probably don’t want to know what’s been collecting under and behind your furniture if you haven’t been looking. Unfortunately, you’re really going to need to. Dust, bugs, hair, and everything else you can think of that is airborne will collect in every nook and cranny of your home. If left alone for too long, you could be looking at a great deal of sinus distress or worse, depending on how bad it is and how well your immune system is functioning. Take this task one room at a time so you don’t overexert yourself, and use all the help you can get. If there was a way to fully launder mattresses, someone would be a bazillionaire. The best you can really do is try to remove as much as possible to avoid a hefty (and frankly, disgusting) buildup. This simple task should be done at least quarterly. If you’re not already doing it, now is a good time to start. I reccomend sprinkling your mattress with baking soda, let sit for an hour, and vacuum off with the hose attachment. You can add a few drops of essential oil to the baking soda if you would like a little smell left behind. These areas are very easily overlooked, although they are in plain sight. Aside from obvious messes, that grey film that you see on many white doors and frames take a long time to develop, so you may not notice them at first. Wiping those down as part of your spring cleaning will dramatically change how clean your home feels. Be honest, how often do you actually clean out your toaster or oven? If you’re like most of us, the answer is probably not very often at all. This is also an important safety issue, since buildup in all of your appliances that require heat can do a great deal of damage, from smoke inhalation, breaking of the appliances, and even a fire. It’s good to have your windows washed inside and out at least once a year. The outside can get very built up from the weather, and the inside can build up quite a bit, especially if you have children and pets. It’s usually best to hire a service for this, since doing it on your own can be risky. Anything and everything collects in your carpets. If left unwashed for years, you can develop severe allergies. Not to mention, it looks unsightly. For your health and peace of mind, have them washed once a year. If you haven’t cleaned your dryer vent in the last year or two, the time is now. Every year, the Consumer Product Safety Commission reports at least 15,000 fires caused by an excess of lint in dryer vents. Protect your home and your family by making sure this is done about once a year. As an added bonus, keeping it clean will extend the life of your dryer, and your clothes will dry faster, which is great news in regards to your energy bill! Here Is A Step By Step How To On Cleaning Your Dryer Vent from Wikihow. 9. Donating or Selling Unused Clothes, Toys, Etc. If it doesn’t get used, you don’t need it. Go through everyone’s clothes, shoes, and accessories, and donate everything that is in good condition. The same goes for toys and anything around the house that is of no use anymore. There will always be people out there who could really use what you’re not enjoying, so why clutter your home if you can do something good with it all instead? If you are getting rid of items that you think are valuable, sell them! You can have a garage/yard sale, or take clothes to consignment stores. Ahh, the fun part! Are you ready to scrub down your home, getting all those nooks and crannies? If not, hire a cleaning service! Give us a call at 214-390-3907 or send us an online request at http://www.bitabliss.com/estimate/ We offer house cleaning in the Dallas, Plano, and Frisco area.